Pictured: Dominique Hatton (EEB), Mallory Ladd (Bredesen Center and Pipeline: Vols for Women Chair), Kate Purple (Biomedical and Diagnostic Sciences), Fatemeh Sepehr (Chemical Engineering), Christine Ajinjeru (Bredesen Center), and Susan Kalisz (EEB Department Head and Faculty Advisor of Pipeline: Vols for Women). A diverse group of graduate and undergraduate students are committed to enhancing the status and representation of women in science, technology, engineering, and math (STEM). Pipeline: Vols for Women in STEM, a committee of the Commission for Women, is named for the sociological term, “leaky pipeline,” which refers to women having an early academic interest in STEM fields, yet fewer women than men end up obtaining STEM degrees or moving on to well-paying STEM careers. Pipeline aims to serve all academic levels of students by helping to develop students’ careers and providing students with access to a multidisciplinary mentoring program, professional and social networking events, a topical monthly lecture series, and opportunities for community outreach. The largest and most significant event organized by Pipeline is the annual Women in STEM Research Symposium, which uniquely spotlights academic research conducted by women. New to Pipeline is the WiSTAR3 subcommittee: Women in STEM Advancing Research, Readiness, and Retention. This professional development program aims to provide a support network to engage both STEM faculty and graduate students through social and educational events. Monthly networking meetings and workshops help prepare women graduate students for careers in advanced research. Both Pipeline and WiSTAR3 have significant EEB participation. Several faculty members, staff, and graduate students attend the meetings and have leadership positions within the organization. 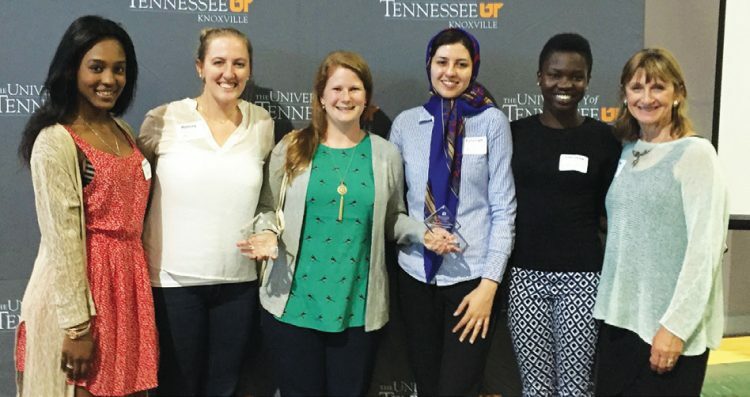 This year, the UT Division of Student Life recognized the important work of Pipeline: Vols for Women in STEM and honored the group with two awards: New Organization of the Year and Innovative Program of the Year, for the research symposium.